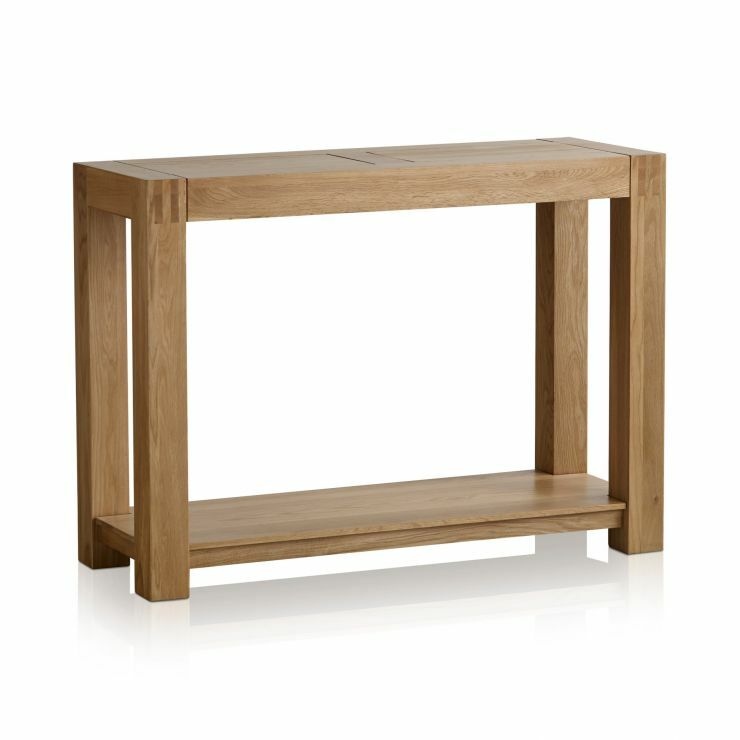 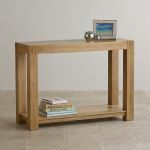 The Alto Natural Solid Oak Console Table is a classic item of hallway furniture that can be used to serve a multitude of purposes. 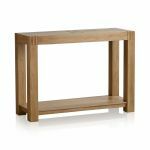 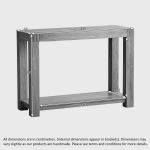 In addition to a generously sized tabletop, the console table boasts an accessible low slung shelf which maximises its storage potential. 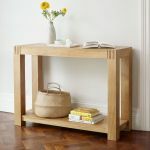 This shelf could be used to neatly tuck away shoes in the hallway, hold a fish tank in the living room or even tidy away a laundry basket in the bedroom. 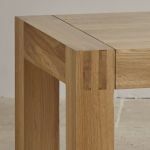 All the hallmarks of the Alto range are visible here - interlocking finger joints in the top corners, chunky square cut oak and a natural hand waxed finish. 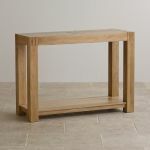 Every inch is crafted from premium grade solid oak and our demanding standards of quality ensure that each item is made to last a lifetime, and potentially more!